New Directions Under Kim Jong Il Successor? There is a a lot of speculation about what might happen to North Korea when Kim Jong Il shuffles off his mortal coil. The natural heir to the dynasty turns out to be a doofus who, as a full-grown adult, went to great risk to visit Disney Tokyo. The other sons are younger, and it is not entirely clear that any of them can hold the nation together. It has often been suggested that the Soviet leadership got progressively weaker over time due to systemic factors, and this played into the demise of that empire (albeit- it might be on the rise again.) A different set of factors could have led to a decline of the leadership stock of the Kims. 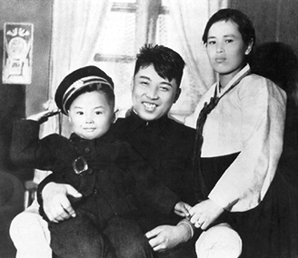 That being said, I think there were many doubters that Kim Jong Il could follow in the footsteps of his father, Kim il Sung, because he was a spoiled little twerp as well. One thing is clear, whoever the successor is, they have a great opportunity. That nation has been so badly run into the ground, almost any reasonable reforms would be likely to result in improved conditions. I’ve never expected the North Korean people to rise up against their leadership, and I don’t expect that they will necessarily exploit an opening created by a faltering transition. First of all, starving people have a difficult time revolting. (As I write this, it is getting to be dinner time, and I’m having trouble concentrating, if I had to throw off the shackles of tyranny, I don’t know how I would manage – and I’ve already had more than a few grains of rice today.) Second, the Kim’s did quite a brain-washing job on the people, as witnessed by the many who line up to show their respects (Though I suspect some of them secretly hock a loo-gee on the memorials.) So a successor’s main threat will be from the internal institutions of power, such as the military. North Korea has to open up because they simply don’t have a broad resource base. They don’t have enough arable land to feed their people, and they don’t have enough energy to keep the lights burning. They do have resources that they could exploit to their advantage, but they can’t be used to their advantage in isolation. As I have written before, one need look no further than the Republic of Korea to see what the Democratic People’s Republic of Korea (DPRK) could become if it practiced sound governance and economic principles. We are talking about a people that is historically and culturally identical and who also faces resource constraints (though perhaps not suffering from the same dearth of arable land), but who have converged from developing into the developed world.